I previewed the Fall 2007 collections from local brother and sister design duo, Alia and Jamil Juma at the Edward Day Gallery as part of the Local 416: A Space of Free Will event by Volvo Canada. 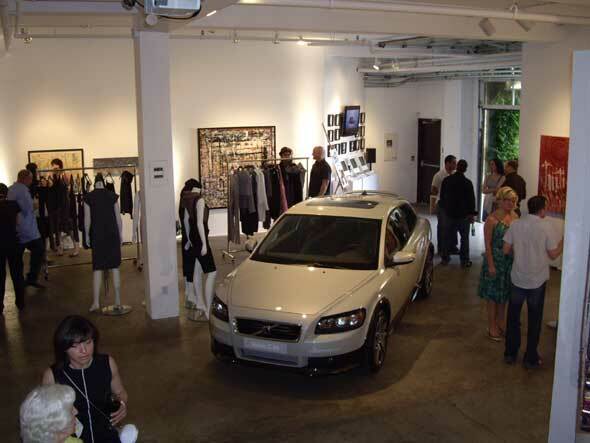 For the month of June, Volvo is partnering with designers and artists to showcase their work. Alia and Jamil's Juma and Juma Movement collections were on display. 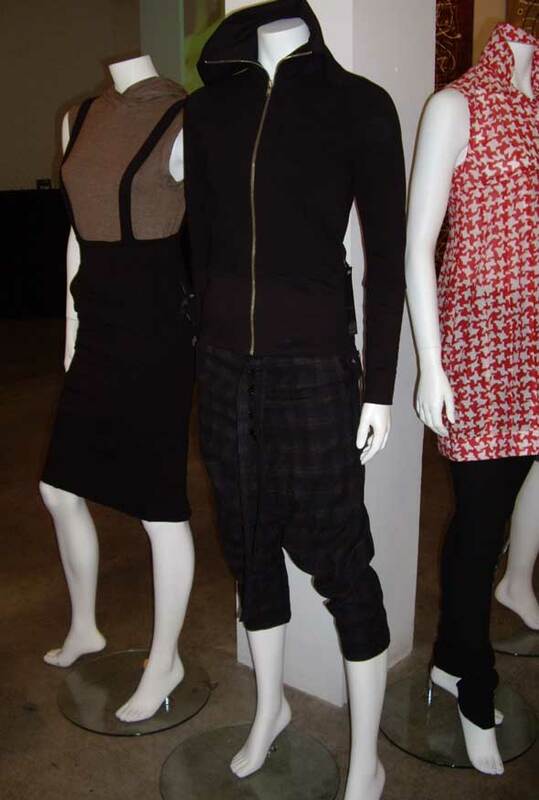 In 2003 the Juma collection was born, specializing in women's luxury ready-to-wear fashions. The line was received well and they quickly spread distribution across Canada, USA and Japan. In 2006, the designing duo expanded to include Juma Movement, a high end athletic line. I first heard of Juma Movement on the set of the Now Toronto blogger profile shoot. Andrew Sartone had chosen a Juma Movement outfit for me to wear. It consisted of sport-back jersey bubble dress, green sleeveless hoodie and black cargo-pocket jacket. I was pleasantly surprised at how closely the Juma Movement line matched my tasted in terms of high fashion sportswear. The fall 2007 Juma Movement collection was even more in line with my tastes and I loved all the pieces. Alia and Jamil used organic fabrics this season. The bubble hem trend from the Spring 2007 remained and dress hems stopped at the knee. Dress silhouettes were sleek except for a green pocket bubble dress which incorporated volume in the skirt. Tank tops used athletic cuts and skirts were of the signature Juma high waisted variety. The sleek silhouette was incorporated in the pant and leggings designs on display. I do wish they ignored the harem pant trend that is trying to make itself relevant again. If you don't know what harem pants are just think of Mc Hammer's style. The Juma line unfortunately had a set of harem pants too. Making up for that were beautiful tulip shaped and herringbone print raglan dresses. I loved the white tulip top and everything that used the grey and gold stripe fabric, especially the V-neck tunic. The high waist signature was found in the Juma line as well. Tweeds and other woven fabrics were used in contrast to the sporty jersey like fabric used in Movement. The palette was neutral (black, white and brown) with the red and gold being used sparingly. You can purchase Juma Movement online at Paper-doll.com. Please check www.juma.ca for other retailers. Additional pictures on flickr account.